1. Carry reusable water bottles. This is pet-peeve of mine as daily, I notice the amount of waste created in a corporate environment through the use of plastic water bottles. I keep a reusable bottle in my gym bag, in my office and in the car. 2. Keep a stack of reusable grocery bags in your car so that you are never confronted with the paper vs. plastic dilemma. 3. Check out your local consignment shops. From the purple bow tie that you’ll need on one occasion to the heavy iron patio furniture on my back porch, our family has been delighted with the merchandise that we’re able to get second-hand. It is the best evidence that we have of true recycling. One of our new favorites is local shop called Kitchen Switchin’ where that blender we’ve never used can be taken or where we can pick up the spiralizer that we’ve been coveting. Half the cost and little environmental impact. 4. Join a CSA. Probably no surprise that was coming. Enough said. Send me your ideas on how to reuse the three items shown above. No cork boards please. It can be function or simply artistic. You can post your idea in the comments section or send an email to agrigirl@rocketmail.com. 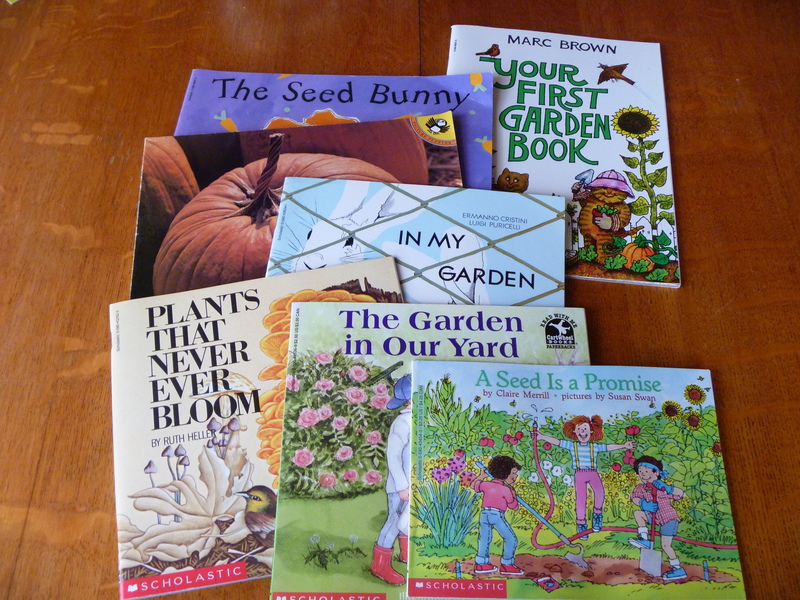 The winning entry (judged by the creative consultant and environmental enthusiast, Zero Hero) will receive this lovely selection of children’s gardening books that have been “outgrown” in my home but that can be recycled by a new home to encourage budding young agriculturalists. I’m also willing to donate them to the organization of your choice. I don’t plan on running contests frequently but thought this might be a fun way to generate some creativity and to put an end to these little annoyances that I’m too conservative to toss. Have fun and please pass this along to others. Entries will be accepted up until midnight (US Pacific time) on August 12th and a winner announced the next day. Good luck! Congratulations Tammy! Wonderful Blog and wonderful job! I would use the wine corks to build the deck of a raft for my lagoon! Altoid boxes are wonderful for protecting small cameras to keep them from being harmed, stolen, and great for air travel. The plastic ties are great for tying vines together and even attaching to trellises. Also for securing extra keys with label and using on childrens party cups and the kids can decorate their own with markers. Your blog as always, entertaining and good thoughts to ponder! Thanks Tammy! 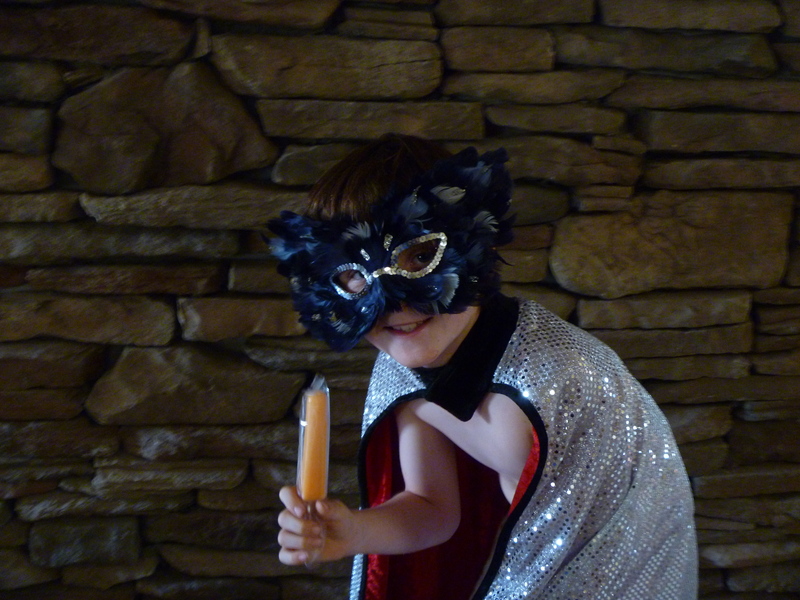 Love, Love, Love, the ZERO HERO! I love that little Zero Hero too! Hmmm. Interesting ideas on the party cup markers or tying vines. Tammy, good for you by not getting all caught up in the number of posts. I love having a good dose of a good post sporadically. I will have to see if my creativity moves towards uses for those items. However, I have another pointer that is apparently encouraging the spread of bugs we don’t want: remember to launder those cloth shopping bags. My grocer continuously reminds all of us that they can be the germi-est little satchels around – especially since more and more of us are bringing some produce to the till without even using thin plastic bags. That’s a great tip Amy and I don’t launder them. I am however, working on post on bugs so may include your tip! Congrats on your 100th post, Tammy, regardless of how that fits into the greater blogosphere! Your posts are always wonderfully informative and full of great ideas – and pics, like your Zero Hero 😀 Although I do recycle quite a lot, I haven’t nearly achieved your attention to detail, so can’t help with suggestions – just to say that you continue to be an inspiration! Well, if you’re able to pass it along, maybe others will have some creative ideas. Congratulations on the milestone! I certainly agree with working toward a goal of zero waste: I focus on that a lot and for several different reasons. Keep the focus. I’m convinced that there aren’t enough people focused on this but if we can influence some young people, we have a chance! Thanks Rukmini. Love yours too. I also carry a reusable bottle, it’s the simplest way to help the environment. It irks me to no end when we attend fairs or sporting events where water bottles are not allowed to be brought into the venue. Now, for the fun part…I use old corks for the ends of skewers that I take camping (don’t want them to poke holes into anything) and also for my cutting board that has prongs for holding meat–I just put a cork over the prongs and turn the board upside down to store. The altoid tins can be painted and jewels added to be used as pill boxes or to store earrings (which would be a great craft for my 4-H group–care to donate the tins?). The plastic ties…glue a piece of thick paper on the end and use to label wires where they plug into the wall. You could even color code the wires using different colored paper. Great suggestions Lisa. May have some altoid tins coming your way. Congratulations on the appearance of the Zero Hero to help you celebrate! It addresses health risks from reusable shopping totes . . . especially those used to transport meat. Nancy, great links! I laughed out loud at your shopping bag post because my first thought was, well stop eating meat then. Obviously you went there also. And the cork site is the best one that I’ve seen. Love the place card holders. Some of those “recycled” cork projects took my breath away. Packages of leaky meat . . . ick! Once again, we’re birds of a feather. 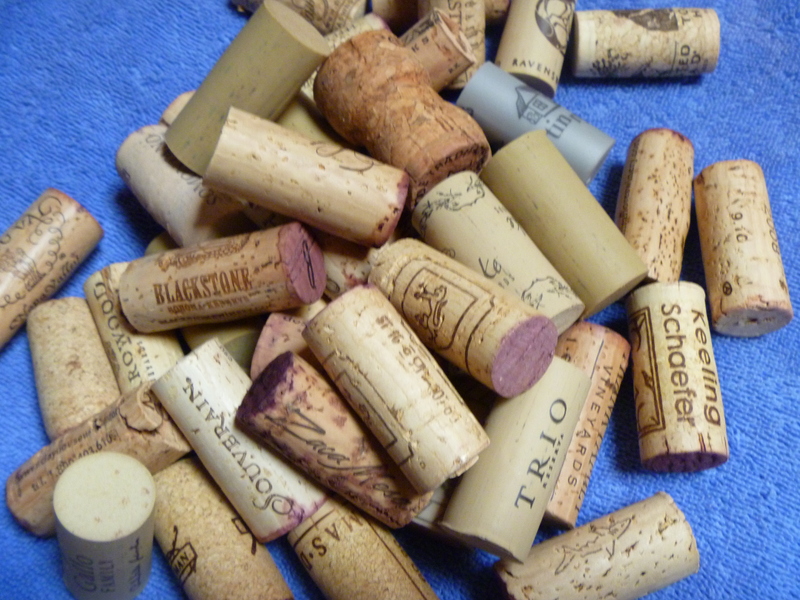 OK, that is one really cool website for using corks. You have inspired me to create some crafts for my 4-H group using corks. Thanks to you both! There really are some great ideas. I may be able to supply you for that crafting opportunity also. Great post, Tammy, and congrats! Love Zero hero. Now about the whole cloth bag germ thing….this “study” was done by plastic bag manufacturers looking to protect their industry at the expense of our environment. Think about it — how many hands touch produce, etc., on its way to our homes? Wash your veggies, wash your cloth bags, and ALWAYS question the fear-mongering. As the fight to reduce the amount of single-use plastic bags heats up, we’ll be hearing more and more of this kind of thing. Yes, it’s always imperative to find out who sponsored a study. Oh good Kate! I’m hoping for lots of young creativity on the submissions. Pass it on. Congratulations, Tammy. 100 blogs and counting. One of my favorites is composting. We reduce an enormous amount of waste from our household by sending our scraps out to the compost bin. Second to that is keeping a small flock of yard chickens. Whatever food scraps we don’t compost go out to the chickens. They eat everything! I’m afraid my Westies would take out the yard chickens. Collection points for corks? Amazing! I need to look into battery disposal. I keep the used ones in a jar as I know they shouldn’t just go into the trash but I haven’t looked into what to do with them. Good kid project for me! I would use the altiod tins for saving seeds from the plants in the garden. Talk about the ultimate in recycling – always let something go to seed, save the seeds and replant next year! corks become cats toys at my house! and those plastic clips get reused for other bags I need to close, or on wine glasses. But I really like the trellis idea and will have to try that one!! Thanks Doreen. Seed tins is a cool idea! Congrats on your blog milestone, Tammy. Fun idea! We just went to a new restaurant yesterday that wallpapered with cassette tapes. It was marvy! Leave it to you! What a fun idea. Congrats on 100 posts, Tammy! As for zero waste – consider composting. Get a crock for your kitchen scraps. (Or simply throw them in a bowl). You can dig a hole and bury strategically in your garden when the crock fills up or start a compost pile for larger volumes of garden mulch several months from now. My outdoor composter is a recycled recyling bin – and was free from the City of Tempe. Phoenix and the other local munis offer similar programs. Between the compost and the recycling bin – my trashcan only goes to the curb about every three weeks. And I see that you’ve started a blog! Awesome. I’m excited to learn more about your garden. We compost too but I only wish I could so that my trashcan goes to the curb every 3 weeks. Congrats on the 100th post, Tammy, and what a great one it is! My idea would be to maybe make some homemade lip balm and store it in the mini Altoids recipients. You can give them as gifts, etc. and they’d look so cute. Oh, good idea on the lip balm and if Herban lifestyles is reading, she can guide me through that. Cork stamps is a pretty cool idea too. hmmm, may take a bit of engineering on my part to figure out how to get a cork into a thumb tack but we’ll give it a shot. Now, THERE’S a potential blackmail picture! Altoids tins are extremely useful. I’ve seen instructions online for using them to make USB chargers, clocks and (I’m not kidding) portable stoves. Without any drilling or soldering, they’re great for holding first-aid supplies. okay, I’m off to google it but these are the mini tins so I don’t know what they’d really hold. Hi Tammy–and a round of applause for your 100th–here’s to 100 more. We all have loved having your unique voice connecting us through the blogosphere. re: dr. vino’s site has some fascinating cork uses: like the trivets and Apartment Therapy’s napkin/placecard holders. I’ve also seen them constructed into legs for small side tables. I use bread tags instead of my nails when removing stickers, soap scum and stuck on food from dishes and counter tops. I’ve seen some lovely Altered Altoid tin ideas on the internet and in books. Many congratulations on your 100th post. For someone like me who is unable to post regularly out of sheer laziness, this appears like a WOW achievement! Thanks Habiba and thanks for your visit. I made a deal with myself that I have to blog at least once a week and so far, it’s working. You’re full of great ideas! I am just figuring out the pinterest thing! Let me know if you would like an invitation. Shoot. I did not but I will see if I can find a way to access it. Thanks for stopping by. There is a store in Montpelier, VT that collects things like this and resells them to teachers, crafters, etc. to do creative things with. could the corks be used as bobbers for fishing? or would they get waterlogged and sink? or they could be cut in half, glued together and used as a bathmat or non-slip mat in a baby tub (something I need these days!). 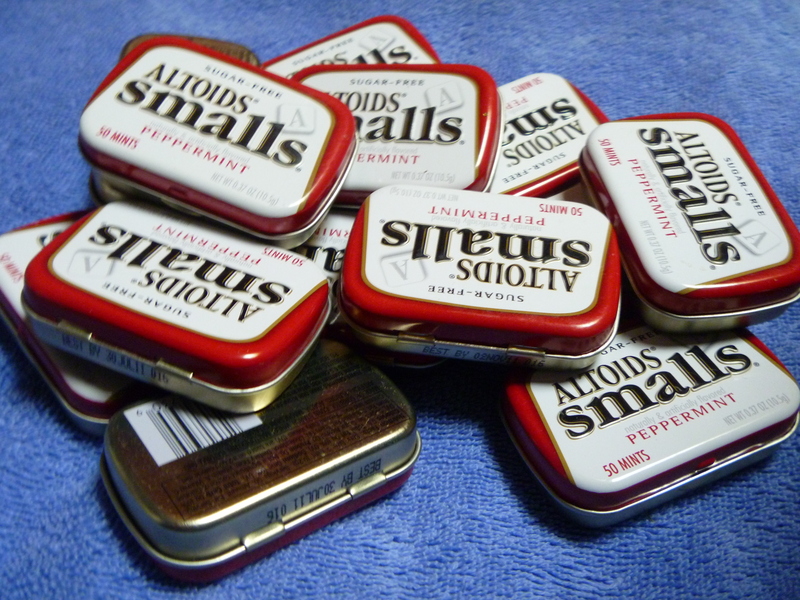 As for the Altoid tins…seed storage containers? good to see you! how does that baby grow? Very creative suggestions and I think you could use some kid’s books at your boat. I had looked 5 months ago but now, it’s really lovely. Freja is gorgeous and I’m so happy for you. The love radiates from your photos. I realize i’m late here, but I don’t need kids’ gardening books anyway. 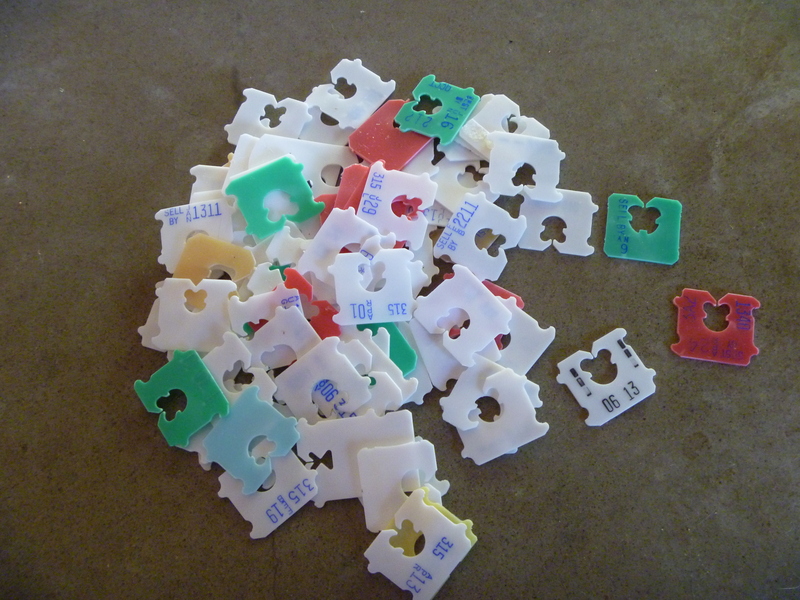 🙂 Bread tags make amazing fingernail cleaners. You could use the mini Altoid boxes to organize spices bought in bulk, perhaps, or to keep a couple of medications (ibuprofen, antihistamines) in your purse or for traveling. Wow, now that’s a solution that hasn’t been created yet. I do like the cork trivet from one of the comments–perhaps there is one of those in my future! and it looks pretty doable. What a great post, and I love all the creative solutions. When I did a post on altoids, I was amazed at the amount of dedication and sites that went into details of what they did with those containers, mind you there were not the minis. Here is SF there are boxes to collect your used corks for recycling, and I’ve seen them at various Whole Foods, I am not sure how geographically diverse this effort is. ok, I thought it was only in Europe. I’m going to stop by tomorrow and see if they have anything like that. Yet another great idea. I need to report back on the contest.